Asia’s largest and one of the world’s largest International exhibition for seafood and fish and seafood processing know-how China Fisheries & SeaFood Expo (CFSE) is held in China not by accident, since China produces two-thirds of the world’s seafood, and the Chinese sea products market is the largest, most dynamic and promising in the world today. Each year CFSE exhibitors enter into hundreds millions dollars contracts. This year, China Fisheries & SeaFood Expo 2017 will be held in Qingdao from November 1 to 3 for the 19th time and will present more international pavilions from around the world (more than 20 pavilions are expected, including new ones from Russia, Argentina, Denmark, Ireland, Japan, New Zealand) to meet the demand, growing in China, for imported seafood, which is considered safer and more qualitative than domestic one. CFSE 2017 Profiles: Various types of fish and seafood, delicacies of fish and seafood, as well as a variety of services and technologies for rapidly developing industry of seafood, including seafood processing, storage and transportation, restaurants and retail equipment and others. More than 1500 companies from different countries are planning to take part in the exhibition. 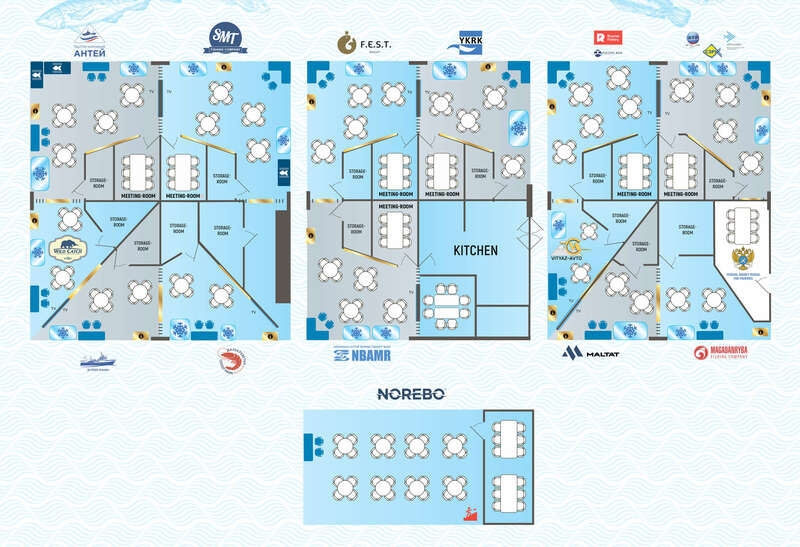 PJSC "Nakhodka Active Fishery Marine Base"
LTD "Sigma Marine Technology Co."
LTD, "Yuzhno-Kurilsky Ryibokombinat PCF Co."
at the country stand offers an original menu of participants’ products from the best chefs. We invite you to visit our restaurant, take a break from business meetings and have a good time!